Part 1 " As one bought with a price"
By my love how much l owe. He also steeped himself in the journals and writings of Jonathan Edwards, David Brainard and Henry Martyn, and longed that the power of the Holy Spirit that had been so evident in their lives would also be granted him. It was in this way that he was led to start evangelistic work in the poorer districts of Edinburgh with his fellow students early in 1834. Conscious of the great responsibility of the task before him, he recorded, "Began in fear and weakness, and in much trembling. May the power be of God!" The next year he was licensed to preach by the Annan Presbytery and immediately set out on what he called, "a glorious privilege" of proclaiming the gospel. Towards the end of 1835, McCheyne became the assistant minister of a parish near Stirling which included Larbert, an industrial town of ironworks and coal mines, and Dunipace, a country village surrounded by farmland. In preaching and pastoral care, he soon made a deep impression on the town dwellers and farmers alike. Each Sunday he ex pounded the gospel "as free as the air we breathe, fresh as the stream from the everlasting hills" and each weekday he systematically visited house by house, sharing the scriptures with any needy soul who was ready to listen. It was a time of patient preparation for the work God had in store for him and in 1836 he was called to the ministry at St.Peter's church in Dundee. The text of his first sermon there was that chosen by the Lord Jesus in the synagogue at Nazareth, "The Spirit of the Lord God is upon me, because the Lord hath anointed me to preach good tidings" (Isaiah .61 : 1-3), and as he looked back over that occasion he prayed to God, "Put Thy blessing upon this day," and noted in his journal that he "felt given over to God, as one bought with a price". The years from 1836-39 were spent faithfully laying the foundations for the blessing which followed later in his ministry. His natural gifts in poetry, art and music were amply expressed in his sermons and writings which included a volume of verses entitled "Songs of Zion". Many of these were set to music and used as hymns of which, 'When this passing world is done' is a memorable example. McCheyne's achievements were all the more remarkable when it is remembered that a severe heart condition often compelled him to lay aside energetic activities. This was especially so in the matter of missionary outreach which had occupied his thoughts from his earliest days as a Christian. He had eagerly sought the few accounts of missionary enterprises that had been published up to that time and he had been deeply moved by the sacrificial devotion shown by pioneers such as Brainard and Martyn. By 1836 he felt willing to go to India and prayed that God would make His will plain, but the bouts of ill-health he suffered showed him that God had much to teach him. McCheyne was granted the faith to see beyond the temporary trials and passing glories of this present world to "a far more exceeding and eternal weight of glory." On 12th April 1839, McCheyne set out from Dover with Andrew Bonar, Alexander BIack and Alexander Keith on the start of their journey to the Holy Land. To appreciate the unusual nature of their mission, it should be remembered that the power of the Turkish Empire which had dominated the region for centuries made such visits rare for European travellers. Indeed, they wrote in their account of the journey, "We are not aware that any clergyman of the Church of Scotland was ever privileged to visit the Holy City before." In addition the disturbed relations between Turkey and the European states at that time obliged them to sail via France and Egypt, and then to make the long overland crossing from Alexandria to Palestine. Thus It was with a profound sense of venturing into unknown lands and re-discovering the ancient sites of Biblical days that the four friends at last reached Jerusalem in June. McCheyne could not contain his growing delight as he hurried ahead of his companions to gain his first long awaited sight of the City. The words of Psalm 122 verse 2, "Our feet shall stand within thy gates, 0 Jerusalem," were literally true in their experience as they spent the following days exploring the City. The slopes of the Mount of Olives, the paths through Gethsemane, the shores of Galilee - each scene was filled with its associations with the life of the Saviour, and McCheyne's accounts written for his friends at home show how deeply moved he was by his experiences. After visiting as many Jewish settlements as time would allow, the four friends separated at Beirut. Black and Keith set out for Constantinople to return home through the Austrian Empire, while. Bonar and McCheyne paid another brief visit to Jerusalem before embarking for Asia Minor. The weeks of travelling had severely strained McCheyne's health and by the time they set sail he had developed a fever. Even so he remained on deck to watch the hills of Lebanon fading out of sight and only as darkness fell did he sadly turn away from the scene. The fever so weakened McCheyne that he needed to be carried ashore at Smyrna and for two weeks he was nursed back to health by an English family who lived nearby. Despite this illness he spent a further two months travelling through the Balkans and the Austrian, Polish and German territories visiting Jewish communities and gathering a vaIuabIe store of information on which to base their report to the General Assembly of the Church of Scotland. On their return to Scotland in November 1839, their report created such an impact that the General Assembly unanimously decided to begin missionary outreach to the Jews of Eastern Europe and in 1841 Daniel Edward was sent to Poland and Prussia, and John Duncan to Hungary to commence this work. In this way the prayers of McCheyne and his friends were graciously answered and a deep concern was planted in the hearts of Scottish Christians for evangelism amongst the Jews. In later years this work continued to expand until missionaries from Scotland were at last established throughout the Middle East including several of the towns which McCheyne had visited In 1839. While McCheyne had been abroad he had left William Burns in charge of St Peter's Church in Dundee and McCheyne had faithfully prayed throughout his absence that God would honour and bless the ministry of the young preacher. Unknown to McCheyne a remarkable awakening had swept the town of Kilsyth where Burns had preached In August and two days later he had returned to Dundee to give an account at the mid-week prayer meeting of the revival blessing that he had witnessed. As he spoke of God's wonderful dealings with the people of Kilsyth, his hearers became conscious of the Holy Spirit moving amongst them in great power. Many were brought tearfully to repentance while others rejoiced in the knowledge of sins forgiven, and meetings for prayer and praise were held every evening in the following weeks as the awakening continued in the town. Thus it was that McCheyne came home to find that the revival he had so earnestly longed for, had already flooded through the people of Dundee and at the first prayer meeting he attended on the day of his return he claimed, "I do not think that I can speak a month in this parish without winning some souls." Before the awakening of 1839 he estimated that around sixty conversions had taken place during his ministry, but he wisely refrained from exaggerating the fruits of the revival and only claimed souls had been born again when there was undeniable evidence of new life. Besides the spiritual discernment he exercised, McCheyne recognised it was God's prerogative to command blessing or to withhold it. When objections were made by some to the cries of contrition and tears of repentance which arose from the congregation in his church, McCheyne answered with simplicity, "I felt no hesitation as to our duty to declare the simple truth impressively , and leave God to work in their hearts in HIS own way. If HE saves in a quiet way, I shall be happy; if in the midst of cries and tears, still I will bless HIS Name." 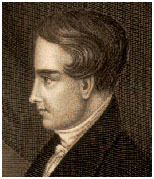 McCheyne's resolution, to devote himself to the work at Dundee did not prevent him from playing a part in the wider field of evangelism in his day. The revival touched many places Scotland and involved many ministers and preachers, most of whom were close associates of his. His life-long friend since student days was Alexander Somerville who was used by God in every spiritual awakening in Scotland for the next fifty years, and in addition McCheyne found kindred spirits and co-workers in Andrew Bonar whose ministry at Collace ran parallel to McCheyne's at Dundee, and his elder brother Horatius, the noted preacher and gifted hymn-writer who was held in high regard for the depth of his spiritual insight As God added more labourers to the harvest of souls, McCheyne and his friends faithfully supported in every way - William Burns at Kilsyth, John Milne at Perth, James Grierson at Errol, Robert MacDonald at Blairgowrie, James Hamilton at Abernyte and later Regent Square, London, Patrick Miller at Wallacetown, Daniel Cormick at Kirriemuir, and many others were empowered to proclaim the way of salvation. Through the ministries of such men a new chapter was written in the history of the Church of Scotland. Their message had one purpose, as Andrew Bonar wrote "... like Ahimaaz, coming with all important tidings and intent on making these tidings known." McCheyne expressed the same longing when he wrote,"One thing always fills the cup of my consolation, that God may work by the meanest and poorest words as well as by the most polished and ornate - yea, perhaps more readily, that the glory may be all HIS own." The revival greatly increased McCheyne's sense of the urgency of the Gospel and on one occasion he declared while preaching, "Brethren, if I could promise you that the door will stand open for a hundred years, yet it would still be your wisdom to enter in now. But I can not answer for a year; I cannot answer for a month; I can not answer for a day; I can not answer for an hour. All that I can answer for is, it is open now." McCheyne's sermons were characterised by his fidelity to scripture, the unfailing tenderness of his delivery and the deep sense of reverence for God which shone through all his life, all of which gave his preaching a most effective quality. He was fond of using short but direct. appeals to his hearers, "If God spared not HIS own S0N under the sin of another, how shall He spare thee under the weight and burden of thine own sin? If they do these things in a green tree, what shall be done In the dry." The closing years of his life coincided with the Ten Years of Conflict over the power of lay patrons to make ministerial appointments. McCheyne never shrank from the struggle to assert the right of congregations to call their own pastors and he fully supported Thomas Charmers in the events leading to the establishment of the Free Church of Scotland. He was one of the 427 ministers who resolved in November 1842 to separate from the Church if lay control was enforced, and when Parliament took the crucial decision in favour of state patronage in March 1843, McCheyne stated, "Once more KING JESUS stands at an earthly tribunal, and they know HIM not." Yet McCheyne was not to see the "Disruption" which followed. The next Sunday he preached his evening sermon on the text, "Arise, shine; for thy light is come, and the glory of the Lord is risen upon thee." (Isaiah 60: 1 ) which many were later to recall as a rich blessing to their souls. Two days afterwards he was struck down by the typhus epidemic raging In Dundee and as his life drew to a close he continued to plead for the souls of his congregation in his prayers. On 25th March 1843, not yet thirty years old, McCheyne went to be with his Lord and the vision of his best known hymn was realised.